It’s no surprise that we’re obsessed with brands that grasp the minimalist way of branding. 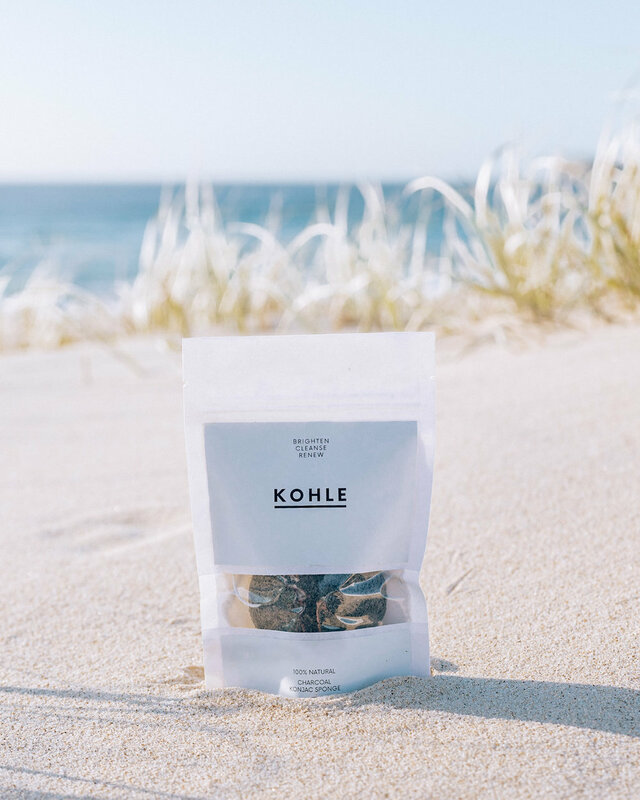 Which is why we had to jumped at the opportunity to speak to Heather, founder of KOHLE and find out how her skincare brand was born and what it takes to create a business like KOHLE. When did you know that you wanted to launch your own product range? For many years I used coconut oil orally and on my skin and couldn't believe the results. I told all my friends and family about the benefits. I loved the fact that a natural product could have such awesome results. A couple of years ago I heard about charcoal powder and I decided to give this ago, I was now aware of two powerful natural ingredients. At the time of these discoveries, there was a lack of gentle natural skincare and teeth whitening treatments on the market. I thought I can't be the only person looking for such products, alas KOHLE was born. With a background in eCommerce and sales, I was able to use these skills and my passion for natural skin and oral care products to create KOHLE. How did you come up with the brand concept for KOHLE? I felt there was a gap for a premium, unisex, Australian made Charcoal & Coconut brand. I wanted to create a brand that both men and women would be proud to have sit on their bathroom shelves. Products that people are elated to receive and excited to give. The branding is so minimal, was this intentional and why? Yes. Charcoal is black, Coconut is white, to make the branding monochrome was a no brainer. I think monochrome looks slick, premium. I wanted the branding to speak to both men and women. Like a roll coaster! Exciting, scary, and fun! Can you explain your process of creating your product range? Firstly, I had to find an Australian chemist and suppliers then followed the branding and concept and packaging design. After that, it was content creation and website build. Your products are all 100% Australian made, was this intentional from the beginning? Yes, this was incredibly important to me. I wanted to be part of the formulation creation and be able to QC everything. What has been the most challenging aspect of starting your own business? All aspects of the business from concept through to development, manufacturing, packaging, design and media as a lone person has been immense, to say the least! However, I wouldn't change it for the world, the journey it has taken me on and the lessons I've learnt are invaluable. How do you manage your time and find balance in your day? I get up early and train, I find this is always a great start to the day. I then look at the list of action items and prioritise numbering 1-5 and then work my way down the list. I make sure at lunch I get fresh air and take a walk round the block. Take time away from your desk is important. What advice would you give someone who is looking to launch a new business? Do your dew diligence, whatever business you're about to start, make sure it's something you enjoy, motivates you and you're passionate about. Make sure you surround yourself with like minded people. Use your time productively. Don't procrastinate, just do it! And, have no fear! It will be tough, you'll have ups and downs but stay strong it will be worth it! Firstly, we're planning on expanding the range! Then we'd LOVE to see KOHLE partner with the most selective department stores and speciality retailers.